The combination of #4 compatibile silicone pour over brewer with snap on case makes this ideal for travel or camping. 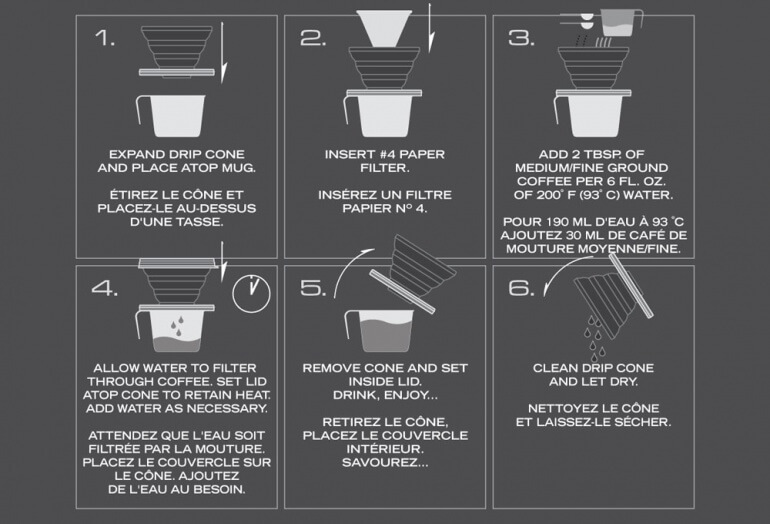 The Coffee Dripper from GSI Outdoor is a simple silicone pour over coffee maker that is perfect for travel or camping. Collapsed, this unit measures only 1 inch by ~5.5 inches. 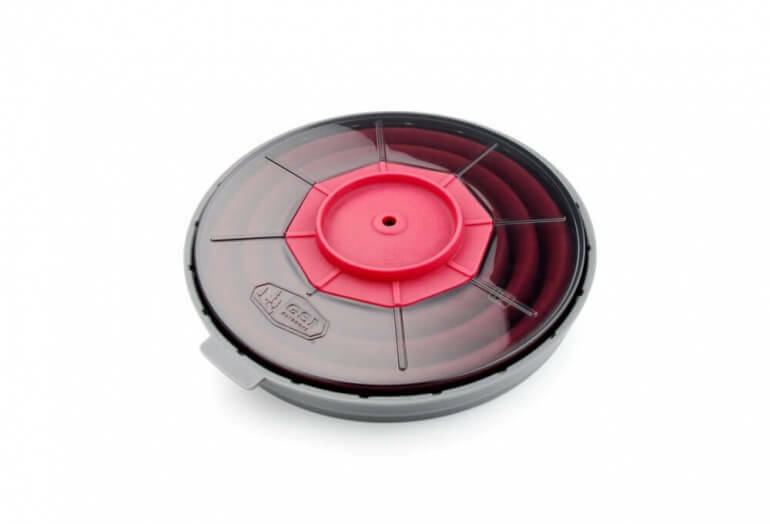 This small disk design with snap on cover keeps the brewer clean until you are ready to use, or after use. 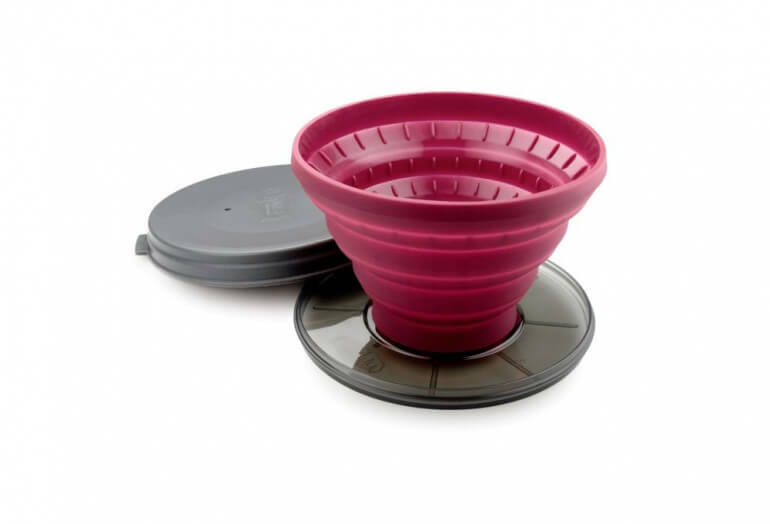 We have also seen similar pour over brewers, but the self contained design makes this coffee maker perfect for travel and especially useful when camping or hiking. This unit is designed for compatibility with your choice of #4 filter. Take off the snap lid and expand the coffee dripper. Place on top of your mug or cup. Place a #4 filter in the brewer. Slowly pour hot water over the grounds and down into your cup. Remove the brewer and enjoy your coffee! Cleanup is easy. Simply rinse out the brewer, dry and snap the case back on. The case is vented to let any additional moisture left after cleaning to escape. Dimensions: 5.6" by 5.5" by 1"